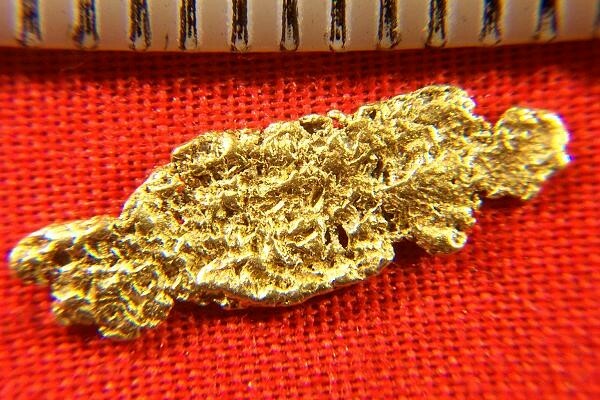 This gorgeous natural Gold Nugget was found prospecting in the Anchorage area of Alaska. It is beautifully textured, long and thin with great color. Weighing in at 9.3 Grains (0.60 Gram), it is 11/16" (17 mm) long. 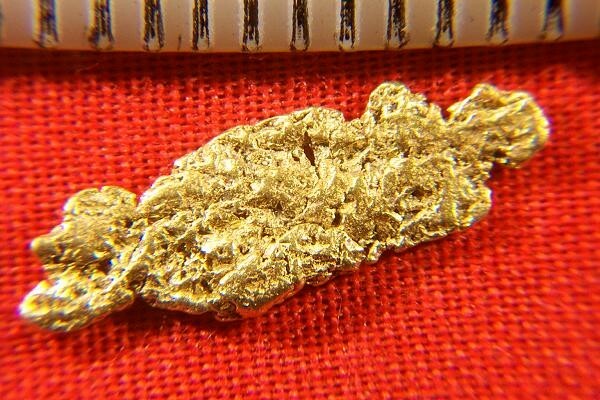 A really beautiful gold nugget.